What’s the secret to getting more traffic to your blog? But you probably know other people that are able to get organic search traffic from every blog post they publish. How do they do it? Do they know some traffic generating secret that you don’t? They follow a proven search engine optimization strategy that brings traffic to their websites for years to come. And today I’m going to show you the SEO strategies that help make that happen. SEO (search engine optimization) is a way to get your blog found in organic search results for specific search terms. SEO helps you get quality traffic for free to your website when your content is a good match for a search query. It’s the best way to get traffic to your blog for years to come. You probably already know that if your website gets no traffic, your online blog business will FAIL. You can have the best blog content but if people can’t find it, well … you know the answer to that. You may be part of blogging exchange groups or Pinterest boards and get lots of traffic from those. How much of that traffic converts to sales? I’ve used SEO techniques over the years that flooded my websites with traffic that converted to sales. As a result, I acquired over 11,000 customers and thousands of subscribers. I’d say it worked really well, wouldn’t you? Imagine if your blog posts got found in Google search again and again? Once you start ranking in organic search results, you’ll kick yourself for not taking action on SEO sooner. Check this out to see why getting SEO traffic is worth your efforts. According to WordStream, the higher organic rank positions get the best click through rates (CTR.) Conversely, the lower search engine rank positions get little to no clicks. As you can see, ranking number 1 is much better than ranking number 10. Or worse, ranking on page 2 or more! This is exactly why my websites get so much traffic! They rank in top search engine positions. The majority of search engine clicks go to those first results. What good is website traffic that doesn’t convert to anything? When you make SEO a part of your blogging strategy, you can attract a targeted audience that is actually interested in what you have to offer. If people are interested in your offer, then your conversion rates will increase. Delivering the right content that helps solve the problems of your audience increases your conversion rates. Your SEO strategy should be closely integrated with your content marketing plan. When people see YOUR blog post at the top of search engine results, you will gain instant authority. If you are willing to invest the time into how to do search engine optimization, you can implement it yourself. You’ll have no additional costs to worry about like if you were to hire an SEO consultant or company. 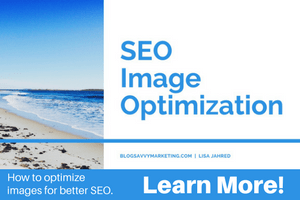 If you build your on-page SEO strategy into every blog post you write, you will soon reap the rewards that ONLY an optimized blog post can bring. Imagine if you could make a change to how you write your content that resulted in increased profits. With SEO, your blog posts get found in Google search results. You get a higher click through rate. Your conversion rates increase due to more targeted traffic. Now that you know what SEO is and why it’s so important to your online blogging success, let’s dig into the best SEO strategies to get more traffic from search engines. Learning how to increase search engine traffic is one of the most valuable skills you can spend your time on. What’s the secret to getting people interested in your blog content? Write content that interests your target customers. Google’s mission is to deliver the best content match for every search query. When you create content that attracts your niche market, you have a better chance of showing up in search results. Even if your blog traffic comes from another source, they are likely to stick around longer if they are interested in your content. The first step is to understand exactly who your niche market is. You can’t find out their needs if you don’t know who they are. I recently wrote an article about how to find the right niche market. Keyword research is the foundation of a great SEO strategy. Without it, how would you know what target topics to write about for the best results? I’ve had great success ranking for what I like to call “low hanging fruit.” In other words, look for low competition keywords that your blog actually has a chance to rank for. If you go for the high competition keywords, you’ll never be able to compete there, especially if your website is new. These are one or two word phrases that are too general to focus on anything specific. For example, “shoes” is a general or broad keyword. If you were to focus your post SEO strategy around this keyword, you would not succeed. The monthly search volume is 1M to 10M. In Google search the results are astronomical at well over 1 Billion! Do you really think you can compete there? On the other hand, focusing on long tail keywords are a powerful SEO technique. They are more specific. For example, “women’s neutral running shoes” monthly search volume is low at 100 to 1,000. In Google search, you can see about 1M search results. When your search engine optimization includes long tail keywords, you’ll find it to be more profitable since you have a chance to rank. By getting found in Google search, you’ll get more targeted traffic, which in turn, converts at a higher rate. What is the simplest thing you can do that counts as a significant search ranking factor? It’s a simple strategy that increased my Google rankings and brings more traffic to my websites. Poor URL structure can affect your search engine optimization in a negative way. Yes, it can hurt your rankings. Check this out. Here’s a blog post of mine that ranks on Google page one. Look at the URL. It includes the keyword with no extra words. The URL is short and looks different than the actual title of the blog post. Here’s another post on page 5 for the same search term. Notice that the URL is so long it’s cut off at the end (the ellipse). The simple solution is to edit the URL of your blog post instead of using the automatic URL from WordPress. Don’t change existing blog post URLs or the web address will be incorrect in Google and anywhere else where they exist. Only use this for future blog posts. When writing a new blog post in WordPress, enter your blog post title. WordPress creates an automatic URL. Click Edit next to the Permalink field. Enter the URL that you want to use. Include keywords and be sure to use hyphens and NOT underscores to separate words. Also leave out words like “the”, “and” and weird characters. Click OK and you created an SEO friendly URL that looks good in Google search results. Having a friendly URL is one of the easiest SEO tips ever! It contributes positively as an SEO ranking factor and just takes a moment so don’t skip this step! Back in 2011, Moz published an interesting article about the correlation between outbound links to authority websites and its effect on SEO. I was curious as to whether this was still true. Fast forward to 2016 and Reboot confirmed that this is still true through a study they conducted. In their carefully conducted study, they showed that outgoing links to authority sites have a positive impact on search engine results. Outgoing relevant links to authoritative sites are considered in the algorithms and do have a positive impact on rankings. The website owner will see a link notification, also known as a trackback or ping. Now you made the authority site aware of your blog post. Wouldn’t it be great if the website owner visited your blog and shared your post with their followers in social media? Whenever I see a link notification, I ALWAYS visit the website to see where they mentioned me. It’s a great opportunity to reach out and begin relationships with influencers and other bloggers. 5 – Internal Linking: Do You Really Need it for SEO Results? In this section, I’m going to show you a powerful technique that is one of the simplest ways to get an SEO benefit. What is Internal linking and why is it important? Internal linking is a link within a blog post or page that directs your reader to another resource on your site when clicked. That resource (another post or page) should be related to the article where the link appears. Internal links help Google understand the relationship between blog posts and other content. When search engines like Google crawl your web pages, internal links provide a path for them to crawl and discover other posts on your site. You can also gain authority when those links relate certain content to other content. Aside from the SEO advantages, internal linking also helps your readers to navigate your website and introduces them to more information that they otherwise might not have found. 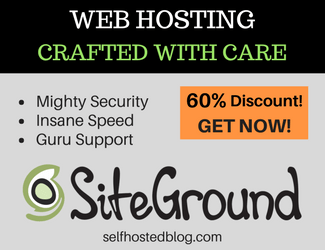 This contributes to lowering the bounce rate on your blog. A high bounce rate means a person visited your site and didn’t stay long. Can you say: Back button! If you haven’t used internal link building as part of your SEO strategy, go back through your posts and find related content on your site where you can add those links. Make sure the content is related and will add value to your readers. Highlight the text in a blog post where you want to create a link and then click Insert/edit link in the Toolbar. From the Paste URL box that appears, click the little wheel to select Link options. In the Insert/edit link window, select Open link in new tab. Select a blog post or page from the list that you want to link to. That’s it. Easy peasy way to build SEO juice for your blog. What type of content CAN you offer that has long term value and the ability to boost SEO? If we compare it to clothing, it would be those fashions that never go out of style. They are timeless. It’s the same with evergreen blog content. It never goes out of style and doesn’t follow a trend. The content stays relevant and is long lasting. This type of content can rank in Google for years to come and continue to drive traffic! For example, here’s a post I wrote in 2013. It’s ranked on page one of Google since I published it. The content is evergreen. You may not be familiar with the topic but it’s popular in that niche market. People have used the method described in the post for years and will continue to use it for years to come. It never goes out of style and can drive tons of traffic to your website. There’s a ridiculously simple way to SEO optimize your content for growth and visibility in search engines. Google has many ranking factors to determine whether your blog post gets found in search results. Content is within the top three Google ranking factors. If you want to stand out in a sea of Internet mediocrity, take the time to write high quality content. Remember, quality will always out-perform mediocre quantity of content. So… how can you be so effective with your content marketing that you also gain the SEO benefits? Know what your audience is interested in. Write content that addresses their interests. Do your keyword research. Focus your content naturally around those keywords. Write content that is comprehensive. The days of 400 word blog posts are long gone. Aim for at least 1,000 words or more. Make sure it’s not a bunch of fluff. Give your readers information such that they don’t have to look anywhere else. Introduce your topic so your reader knows what your post is about. Use navigational elements like subheadings. Most people scan articles and subheadings help your reader. Subheadings should support your headline or title. These are beneficial to SEO since search engines also scan subheadings to discover more of what your article is about. Make sure it is share-worthy. For example, if your content is mediocre junk, who wants to share that? Read over your blog post as if you are new and ask yourself if it’s worth sharing. Don’t depend on SEO tools after the fact. If you think that seeing the green light on Yoast SEO means you optimized your post, you would be wrong. Even though it’s one of the top SEO tools, the real work comes from you. For example, if you choose a keyword like “shoes” and Yoast gives you green lights, I guarantee you will not rank for that keyword. See the above explanation of why. Today you learned about the best way to get traffic to your blog. All these tips contribute to some of the best SEO strategies to increase search engine traffic. Now it’s time to implement them. Use these SEO tactics as a checklist each time you write a post for best results. Leave a quick comment below and be sure to grab your Blog Savvy newsletter! This is something that I have struggled with. Thank you for the tips!